The water is an ideal place for the treatment/management of a wide range of musculoskeletal and neurological problems in children. Treatment for children needs to meet therapeutic goals, but it is an added benefit if it can be age specific, motivating, less stressful (for parents and children) and most of all it can and should have an element of fun! Aquatic physiotherapy can meet all these needs and more. The water environment adds another dimension to treatment, and parents so often see increased effort, motivation and endurance, as well as more smiles! low tone or other conditions that requires a “harder”, more strength specific exercise approach. Your child may require a variety of options to maintain motivation and co-operation during therapy. Aquatic physiotherapy can be one of those options…. And it is always FUN! 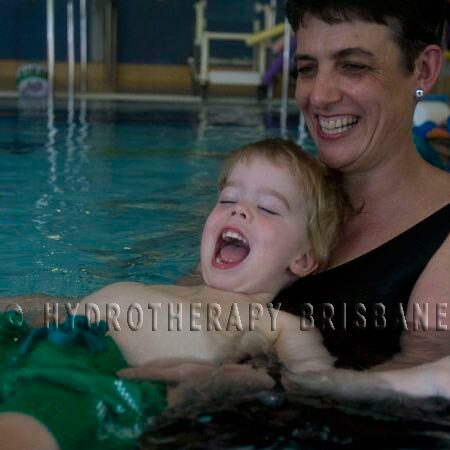 There are many other ways that hydrotherapy may be able to help your child. Please don’t hesitate to contact us for more information or to discuss your child’s needs, or to ask those questions about ears, wounds, epilepsy and nappies! There are also a number of paediatric funding options including Better Start. Remember, our pools are a place for everyone – our youngest child is currently 3 months old, and our oldest child is 93! !